New Functionality, Features, & Pricing! Add images directly into your content or sub menus; resize, and/or align them how you so choose. 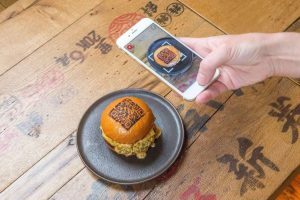 For those who use and love QR Codes, one of the most requested features in the business world is the ability to link from a QR Code to a vCard — so that the person scanning can add your contact information directly into their mobile contacts. For a number of reasons this has always been difficult to do, especially for the Apple iPhone. But never fear! 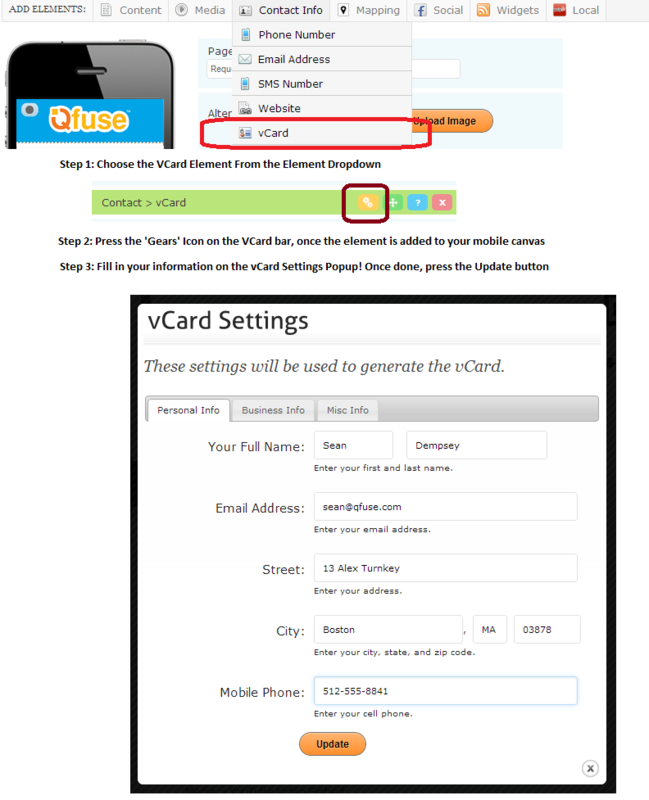 Using the new vCard element within Qfuse you can now add all your contact information and share it with those who scan your codes. Great for using on QR Code-enabled Business Cards! Qfuse has recently gone through a drastic overhaul of its pricing tiers and packages. We have made it both easier and less expensive to attain just the features and the number of codes/sites required to meet your exact needs. While on the Qfuse Dashboard, you’ll see in the upper-right hand corner the text “+ Add More.” Use this link to add additional codes/sites to your account in seconds. You Can Now Add More Sites to your Account at Any Time! Lastly – our pricing has been reduced significantly. So whether you are a casual or professional user of QR Codes or NFC technology, you can now pay as low as $10 per code/site and receive all available features. And as always, if you require more than 50 codes/sites, you can take advantage of our Partners/Enterprise Package for significant discounts. This is perfect if you are in the I/T or web industry and desire to RESELL the Qfuse platform to your existing customers. Click here to learn more about our Partners’ program.